If you are a registered WV-32 8.0 owner and you are upgrading your computer, please download the trial version. 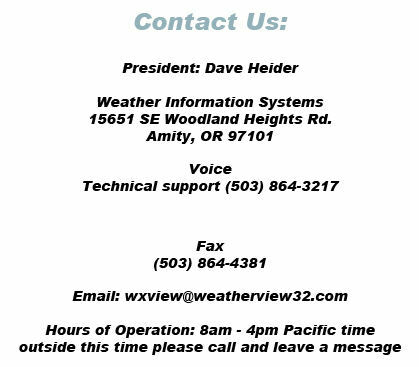 Uninstall your current version 8 of Weather View 32 (You will not loose your data or settings). Install the downloaded version. If you're asked for you serial number use the number on your user's guide.